There are 15 secondary schools (12 state, 3 private); 52 primary schools (48 state, 4 private) and 1 state special educational needs schools. All the listed state schools are run by Aberdeen City Council. 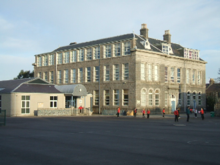 Ashley Road Primary is one of the 48 state primary schools in Aberdeen, feeding into Aberdeen Grammar School.